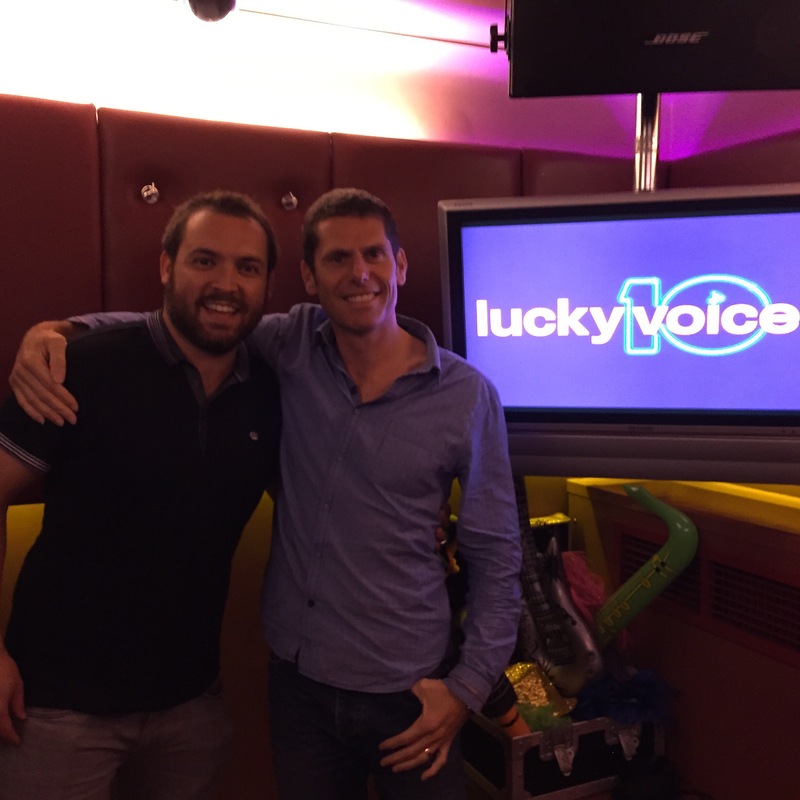 This week we are celebrating the ten year anniversary of the opening of Lucky Voice. In 2003 two friends, Jonny Shaw and Julian Douglas and I went to Tokyo and the idea of Lucky Voice was dreamt up. Buoyed up by their enthusiasm and the amazing time we had I approached Nick Thistleton to see if he would like to start the business. After a lot of questions, he did so in 2004. We opened our first venue in 2005. I say we, but that is a gross exaggeration as I was knee deep in hospital through 2004 and 2005 after a car crash so Nick and the team really did all the work. I remember that they would come to visit me and show me models of how the site we found on Poland Street was developing. They would hold designs up over my hospital bed and show me colours and ideas. I thought I was being very useful but I was so high on morphine its a miracle they understood a word I was saying. 1. Partnerships are great. Its tough being a founder and so I urge people thinking of starting a business to look for a partner. Nick is an amazing co-founder and ceo and we have very complimentary skills. We have never come to blows although we challenge each other and I think the business has endured partly because of the different personalities we have. 2. Absolute attention to detail on the customer experience is VITAL. Its obvious in some ways but people dont always get it right. Nick and all the teams in the bars are obsessed with everyone having a great experience. We have to move drunk people out of rooms with good grace, we have to make sure sound quality amazing, online booking easy, cocktails delicious – you can never pay too much attention. 3. Singing makes you feel fantastic and a business based on such exhilaration is wonderful. I knew this after my first sing and I am a terrible singer! It’s subsequently been empirically proven. Anything that can make customers feel so fabulous is not only fun but a good business. We have had all sorts of people – journalists who have fallen out with each other, politicians, pop stars (often singing their own songs) but we hope everyone leaves buoyed up. Lucky voice engenders extreme loyalty – an asset you always wish for in a start up. 5. Getting the interplay right between the offline and digital is vital. Customers might be different through different channels but they might not, and you need to offer a cohesive experience. No big revelation there, but what I have learnt through Lucky Voice is yet again the essential skills needed in any small business are partly digital and that can be tough in an environment where you are bootstrapping products and have competing demands. I don’t find it surprising that only 30% of the UKs SMEs buy or sell through the internet but I do find it frustrating for them as its hard to get a competitive edge. You cant afford to underdevelop your software, data or analysis. I can’t wait to celebrate with the team tomorrow night. I want to thank Julian Douglas who still sings so enthusiastically. I want to thank karen Jones and tom teichman who sit on our Board and everyone who works so hard at Lucky Voice for the amazing job they do. Wow, I can’t believe it’s been 10 years. 1. Follow your bliss. Find something you’re passionate about, go for it and and you can make it happen. No matter how ridiculous it may seem at the outset. 2. Lucky Voice is a better name than Keith’s Karaoke or even Clap Clap Sing Sing after all. 3. It’s not about how you sound, it’s about how you feel. 4. At LV everyone is a star. But no-one will ever sing ‘Sympathy for the Devil’ as well as Martin Cole. 5. A day without singing is a day wasted. Thanks for making it happen Martha. Without you, there’d be no Lucky Voice. Tonight we sing again, and here’s to the next 10.